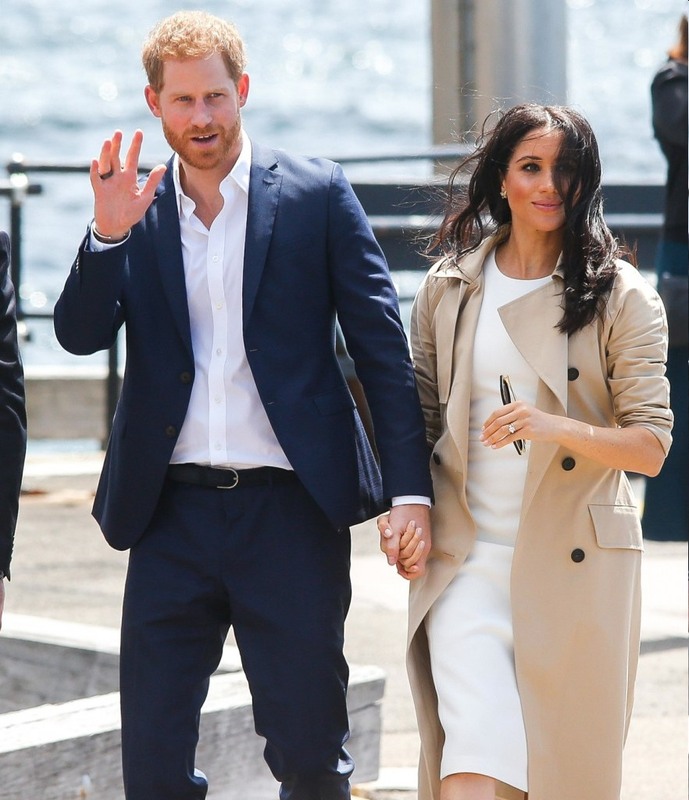 My prediction is that the Duchess of Sussex will give birth in the next week, before or perhaps on Easter Sunday. That’s what my witchy sixth sense is telling me, but I’ve been wrong before. CB’s witchy sixth sense has been telling her for months that Meghan and Harry are expecting royal twins, so take that as you will too. One of the reasons why I think the birth is happening soon is because it’s basically the silly season in the British tabloids – they’re just throwing whatever nonsense at the wall because they don’t have anything else to write about until the baby comes. The Duke and Duchess, whose first child will be an Earl or Lady rather than Prince or Princess, said they would be “celebrating privately as a new family” after the birth as a first priority. In a short statement issued yesterday, they said they would not be sharing plans for the arrival of their baby, and will not undertake a public appearance after it is born. The low-key plans in part reflect the status of Baby Sussex, who will be seventh in line to the throne. He or she will not have an automatic HRH title, being known as the Earl of Dumbarton if a boy, and Lady [firstname] Mountbatten-Windsor if a girl. George, Charlotte and Louis, the baby’s cousins, were all confirmed as being a Prince or Princess before birth thanks to a Letters Patent issued by the Queen in December 2012, seven months before the arrival the first Cambridge child. No such declaration has yet been made with respect to the Sussex’s baby. From my understanding, though, it’s not too late for the Queen to give Baby Sussex an HRH or a different kind of title? The Queen can do whatever she wants in this regard, and I suspect that if she wanted to wait until the baby was born to declare the kid HRH Polo Baby, Earl of Ginger, she could. I don’t know. We’ll see. Photos courtesy of WENN, Backgrid, Avalon Red.